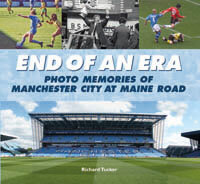 Now got a publisher for the book on Maine Road. 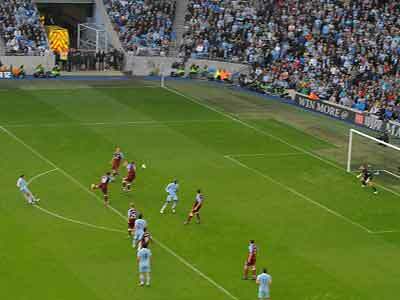 With United dropping a point at Liverpool City moved to the top of the League with an easy win over the previously unbeaten Aston Villa side. 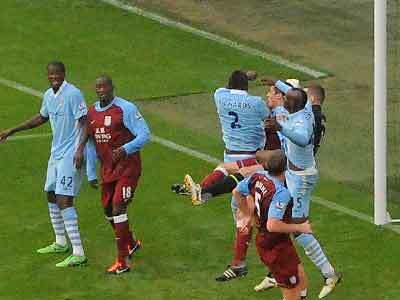 Villa played an attacking side and in the first twenty minutes or so they caused a few problems. 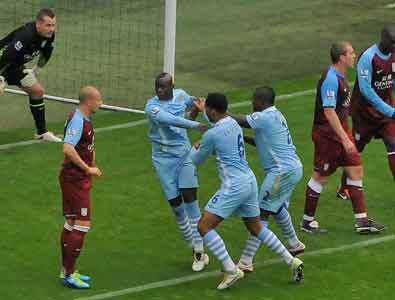 However once Balotelli had displayed his moment of magic to give City the lead there was only one side in it and defensive errors helped City to lead three nil. 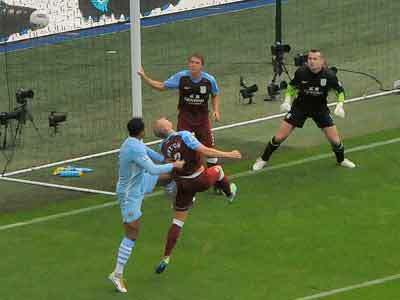 Villa did manage a goal but it was scored while City were down to ten men with Richards off injured. 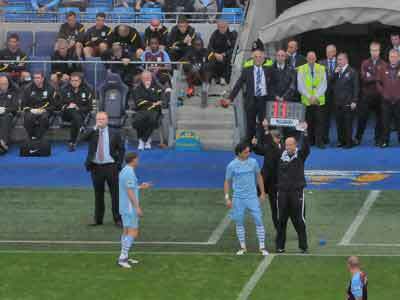 Warnock took advantage of the situation to score from close range. 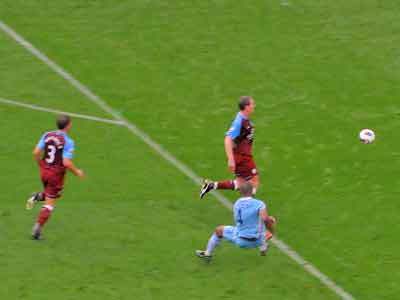 Milner then scored against his own old side putting the issue well beyond doubt. It was a first time cracker from outside the area. 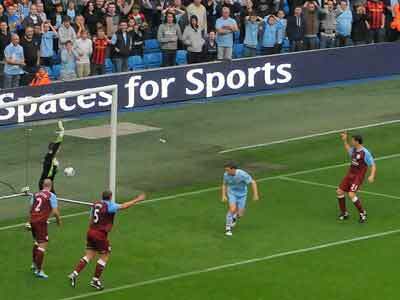 With City resting several established first choices we wondered where the goals were going to come from but we should not have worried. 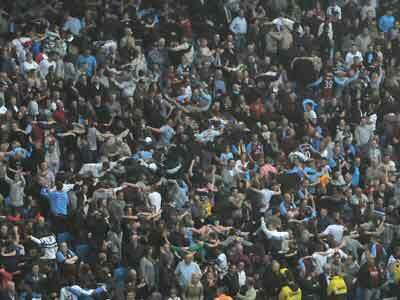 The passing was often amazing and the days of boring boring are long gone on this form. 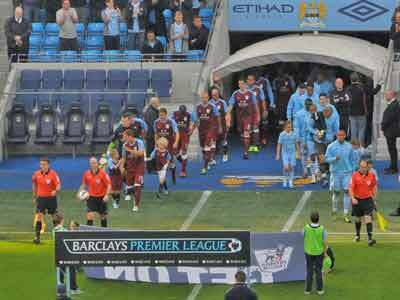 Now City have scored 27 in 8 Premier games - equaling the record. 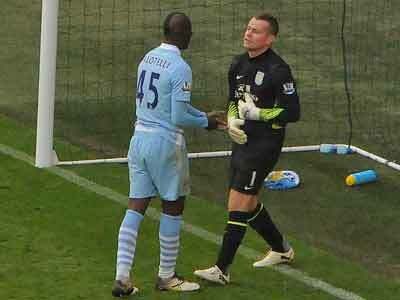 Once City had settled it was only a matter of time and with Heskey, Bent and Agbonlahor almost anonymous Joe Hart had little to do. 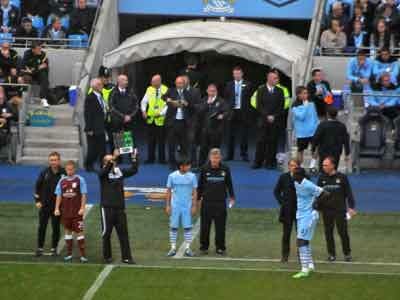 It was good to see the return of De Jong in front of the back four. 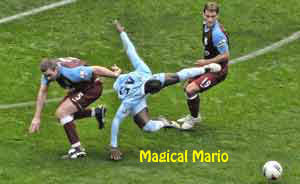 ...... and it wasn't too long before Given had to make a good save from Mario the Magician! 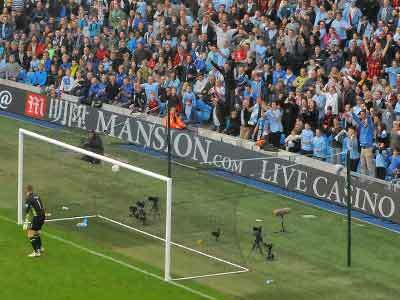 The ball was headed down by Richards and then Mario Balotelli with a brilliant bit of skill kicked it overhead into goal. 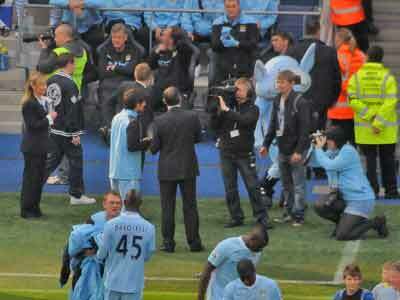 A Magical Moment ! 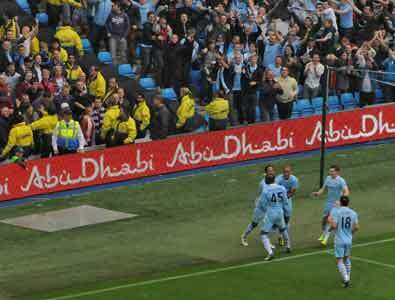 The City supporters added their feelings too! It wasn't the cleanest of hits by Johnson but they all count. 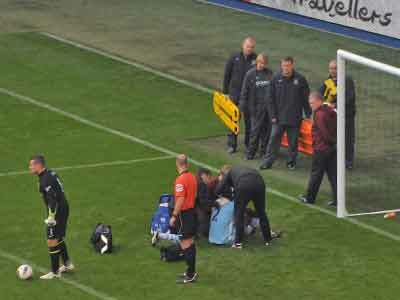 ...... and Richards got the worst of it and he had to leave the field. 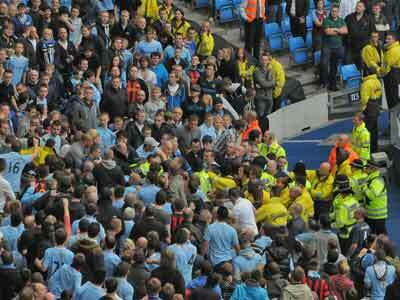 During the skirmish Given too suffered and was no doubt given some support by Balotelli!